With dozens of walking routes and beautiful destinations to choose from, going for a walk in the Lake district could not be more ideal. But where do you start? 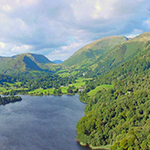 At Craig Manor we have planned and mapped out a number of walks to some of the Lake District’s most popular destinations for you. 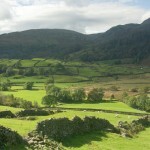 Each walk will lead you from the manor to your destination and back again. Craig Walks make your walk planning much easier and details how accessible each trail is for different walkers. 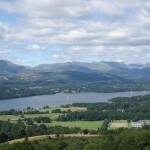 Craig Walks will take you across the Windmere area to breathtaking locations from the tranquil waters of Lake Windermere, to the hill of Brantfell. 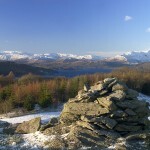 You will come across numerous points of interest detailed in each guide, such as the summit of Orrest Head and the 10.5 mile view from Biskey Howe. 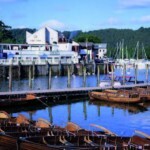 Local attractions on the way will include Bowness Village, the world of Beatrix Potter, the Lakes Aquarium and various Arts & Crafts centres. Remember, you can download PDF versions of all our maps and directions for you to print and take on your way. 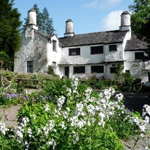 You can also ask our staff at Craig Manor more about the area and local attractions. Use our booking system to check for room availability when you want to visit and make the most of our complimentary walking guides. 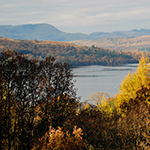 Craig Manor overlooks Lake Windermere, and as such is the perfect location to the start of many adventures in the Lake District. The Hotel itself was first occupied by Sir Thomas Paisley in the 1800s, and has since been expanded and restored. Types of rooms available include: Lake Views, Four Poster and “Superior Lake View” rooms. The in-house restaurant sources many of its ingredients locally and there is a bar and lounge for guests to relax in after a walk in the fells.